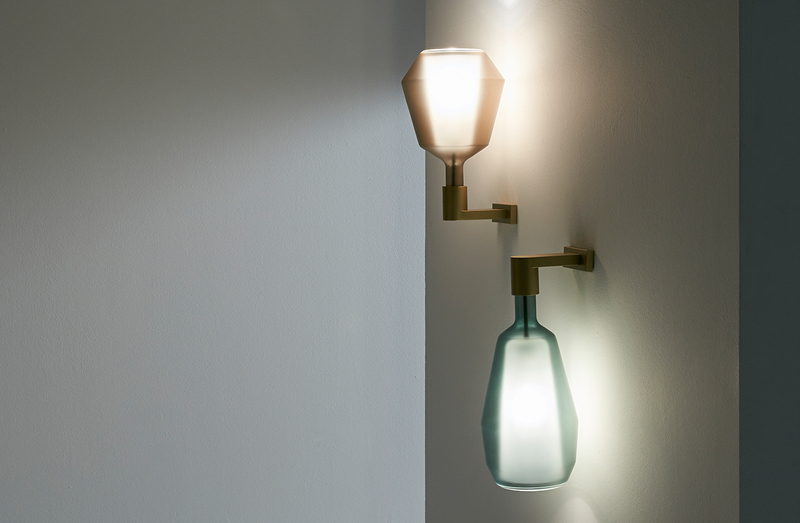 Wall mounted sconce with structure in metal and hand blown borosilicate glass shade. Available to order in a choice of two sizes and numerous colors. Please see ADDITIONAL SPECS for sketches.